Few teams can boast what the Portland Trail Blazers can. 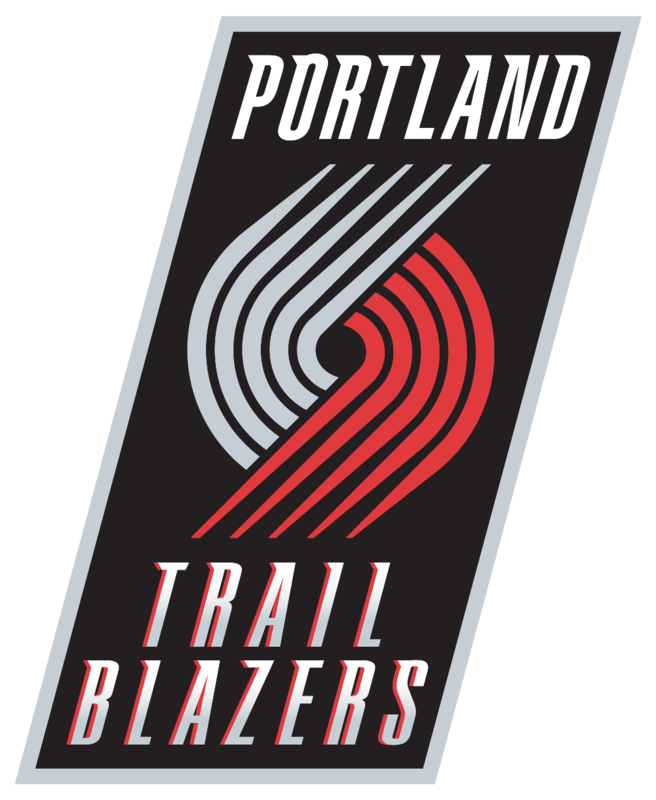 The Blazers have been located in Portland for all 31 years of their existence. They also have only been known as the Trail Blazers. The lack of change has helped the team to have a consistent following in their history. The Blazers have the record for most home games sold out in a row with 814 consecutive game sold out in Portland. The Blazers struggled early on as a team which is the case for almost all teams in league history. In took from 1970 until the late 70’s for the Blazers to become competitive. Not only did they become competitive, but they became champions. In 1977 the Blazers won their first and only NBA title. The turn around from a team who won the first pick in the draft due to their terrible record to NBA championship happened behind the play of Bill Walton. Bill Walton stands just shy of 7 feet at 6 feet 11 inches. He would give Portland a marquee player that it needed to be taken notice of. Walton fought through injuries his entire career, but he managed to stay healthy during the 1977 season which was enough for the Trail Blazers to take the league by storm. They went from a team picking early in the draft to champions. Following their Finals victory over the Philadelphia 76ers, the Blazers began the 1978 season where they left off the 1977 season, in top form. The Blazers posted one of the best starts to a season in league history when they started off 50-10. At this point many believed the Blazers would form a dynasty with multiple championships in the coming years. This is when Bill Walton and the Blazers would go down hill. Walton would hurt his foot, and the team would suffer as he suffered. The Blazers would lose in the second round of the playoffs to the Seattle Supersonics. Walton then asked to be traded because he felt the team was not doing its job in helping him keep his body in top shape to refrain from injuries. When the Blazers refused to trade him, Walton held out of the season and did not play a game for the Blazers that year. He was a free agent after the season, and he signed with the San Diego Clippers leaving a large void on the Blazers. The Blazers would slip from title contention without Walton, but they would continue as a regular playoff team throughout the 80’s. This was behind the play of Clyde Drexler. The Blazers will always remember the 1983 draft for drafting Drexler. They will always remember the 1984 draft when they failed to select Michael Jordan. The Blazers could have taken Jordan with the second pick in the draft, but they decided to draft Sam Bowie instead. Bowie did not pan out in the NBA, and Michael Jordan became the greatest player in basketball and led the Chicago Bulls to six NBA titles. Despite making the playoffs every year but one in the 80’s, the Blazers never could make it to the Western Conference finals let alone the NBA Finals. The 90’s would be a time of improvement for the franchise. In 1990 the Blazers made it not only to the semi-finals, but they made it to the NBA Finals behind the play of Drexler. He would lead the team to their first Finals appearance since the days of Bill Walton. They Blazers would not get over the hill and were defeated by the Detroit Pistons. The Blazers would return to the Finals two years later. They would come face to face with the player they failed to draft in 1984: Michael Jordan. The Blazers would watch as Jordan led the Bulls to a championship over Portland. The Finals are now a forgotten thing for Portland fans. The Blazers have not been back since 1992. Portland would continue to be a playoff caliber team, but once again their hay day was past as they were no longer series contenders to win a title. The Blazers would see themselves make another draft mistake in 2007. The previous season the Blazers selected Brandon Roy who went on to become the Rookie of the Year. The Blazers were hoping to put a big man around Roy. They selected center Greg Oden instead of the more hyped forward Kevin Durant. Greg Oden went on to miss numerous seasons due to injury. The Blazers recently gave up hope on him and let him go all together after hoping he would be a part of restoring their glory of the Bill Walton and Clyde Drexler days. Roy would lead the Blazers to become one of the top teams in the West for a few seasons. He became a player who was constantly injured himself in the past few seasons. Brandon Roy was forced to retire this off season due to knee injuries. He had a short but impactful career with Portland. Despite the loss of the former All Star, the Blazer started off the season in contention to yet again be a playoff team. The team realized they would be no more than a low seeded playoff team in the West, so they traded away some of their older players to begin to develop younger players. The Blazers have not fallen much in the standings, but they will likely miss the playoffs. Their future has a lot of upside largely due to their new All Star LaMarcus Aldridge. They hope to return to the playoffs next season with a younger, more developed team next season.